The annual event recognises and celebrates the outstanding Honours, Master of Biomedical Science, and PhD students from the Departments of Medicine and Radiology, Surgery, Obstetrics and Gynaecology and Psychiatry from the previous year. The prizes included individual Department Honours Awards and the Best Biomedical Science Research Project for top-ranking students in the 2017 cohort. They were Isobel Walker (Medicine and Radiology), Megan O’Donnell (Surgery), Natasha de Alwis (Obstetrics and Gynaecology), and Crystal Li (Master of Biomedical Science). The esteemed Professor Richard Larkins was on hand to present his namesake award to last year’s top Honours student, Isobel Walker. Mrs Rhonda Christopher gave a moving speech about her late husband Nick Christopher’s admiration for the young research students he worked with as Department of Medicine Manager from 2001-2008 and then RMH/WH Cluster Manager in 2008. 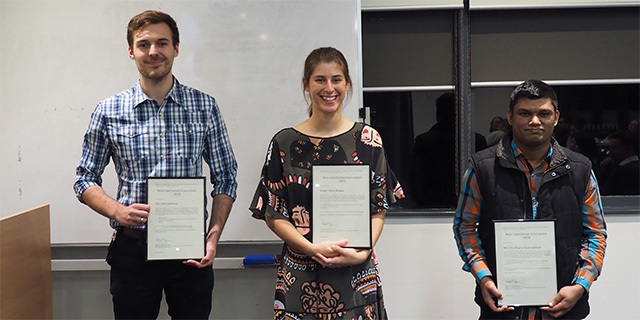 The Nick Christopher Award honours his legacy by supporting the Parkville Precinct’s most promising PhD students. This year’s awardees were Isobel Walker (Medicine), Alec Jamieson (Psychiatry), and Md Efte Sumon (Surgery). 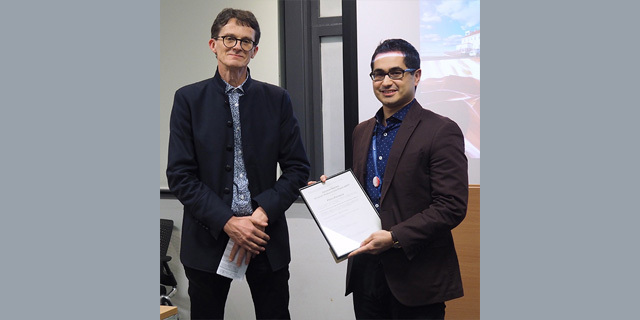 The Graham Brown Prize for Best Student Publication was awarded to PhD graduate Piero Perucca for being the first author of an outstanding peer-reviewed paper on mesial temporal lobe epilepsy, published in 2017. 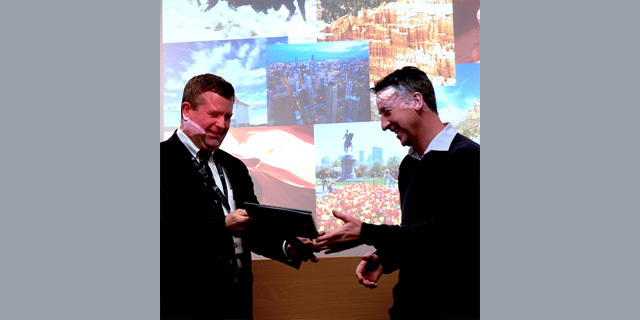 A/Prof Nigel Jones (R) received the Best Biomedical Science Research Project Award on behalf of his former student Ms Crystal Li. 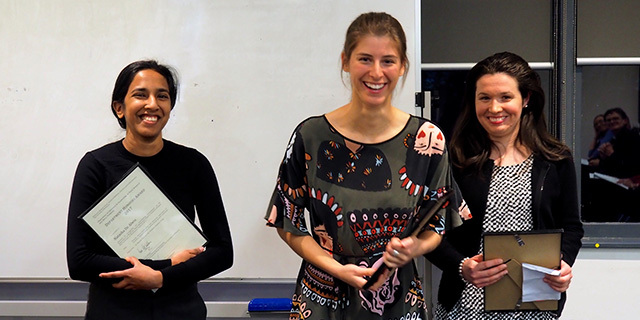 Department Honours Awardees 2017 (L-R) Natasha de Alwis (Obstetrics and Gynaecology), Isobel Walker (Medicine and Radiology), and Megan O’Donnell (Surgery). Nick Christopher Awardees 2018 (L-R) Alec Jamieson (Psychiatry), Isobel Walker (Medicine), and Md Efte Sumon (Surgery). Piero Perucca (R) received the Graham Brown Prize for Best Student Publication 2017.